During the spring semester of 2012 and 2013, the students of the class Digital 3D Geometry Processing at the School of Computer and Communication Sciences at EPFL created a virtual museum of 3D statues and explored techniques for physical fabrication. The goal of the project was to explore the use of geometry processing algorithms for digital reconstruction and conservation of sculptural art. 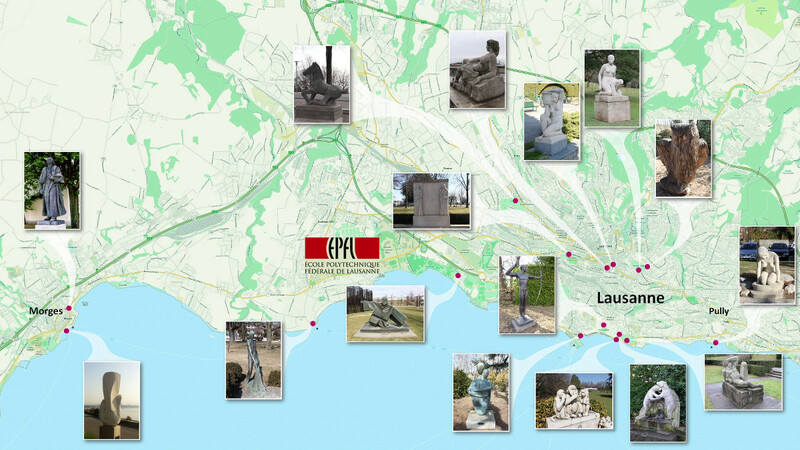 This artwork becomes accessible in a virtual exhibition that brings together statues located in and around Lausanne, Switzerland. The digital 3D models have been acquired by taking multiple photographs of each physical statue. Using a novel reconstruction software provided by the EPFL startup company Pix4D, these photographs are turned into digital 3D point clouds. Several algorithms and software tools are then used to clean and complete this data and extract a textured surface mesh suitable for display. The video shows the main stages of the class project work and the final virtual museum, created in a collective effort of the entire student team. In 2013, recent developments in 3D printing technology allowed to take this idea one step further and the students created physical representations of the reconstructed artwork. The project "Fabricating 3D Statues from Photos" shows the combination of different techniques the students used to fabricate the models. In 2014, the students reconstructed the statues in the Olympic Museum in Lausanne. Using these 3D models, they produced a short movie "The Night of the Living Statues", about the adventure of the statues on the EPFL campus. All 3D statue data are available for download. Many statues are also included in the Scan the World Repository of My Mini Factory, a free digital archive of 3D-printable sculpture models. For more information contact lgg-info@epfl.ch. 02/04/2015: Our statue models have been included in the Scan the World Repository of My Mini Factory. All models have been processed to become 3D-printable, and are freely available to the public. Scan The World is an initiative to build a digital archive of sculptures using 3D scanning and 3D printing technologies. 25/06/2013: Our project won the Swiss Informatics Competition! See EPFL News for details. 16/09/2012: Our project appears in the TV program Nouvo on Swiss TV channel RTS. 19/07/2012: Our project appears on EPFL news.